CAPE CANAVERAL, Fla. — With dire weather predictions as well as terror threats looming over Space Launch Complex 41 (SLC-41), the United States Air Force and United Launch Alliance unleashed the 501 version of the venerable Atlas V booster at 11:05 a.m. EDT (15:05 GMT) – the very opening of the first of two 10-minute long launch windows (each 87 minutes apart). The payload for the launch vehicle was the U.S. Air Force’s mysterious X-37B space plane. The automated spacecraft had a payload of its own – both classified and public. Threats uttered by the Islamic State of Iraq and Syria (ISIS) terrorist organization caused military bases to go on a heightened (Bravo) state of alert due to the heightened national Force Protection Condition (FPCON) Bravo threat level. This included Cape Canaveral Air Force Station. As such, special restrictions were in place which did not allow for the normal viewing of the flight. The Atlas V rocket and X-37B spacecraft were rolled out to the launch pad from the adjacent Vertical Integration Facility at about 9:04 a.m. EDT (13:04 GMT). This mission has been called both the AFSPC-5 as well as Orbital Test Vehicle 4 (OTV 4). 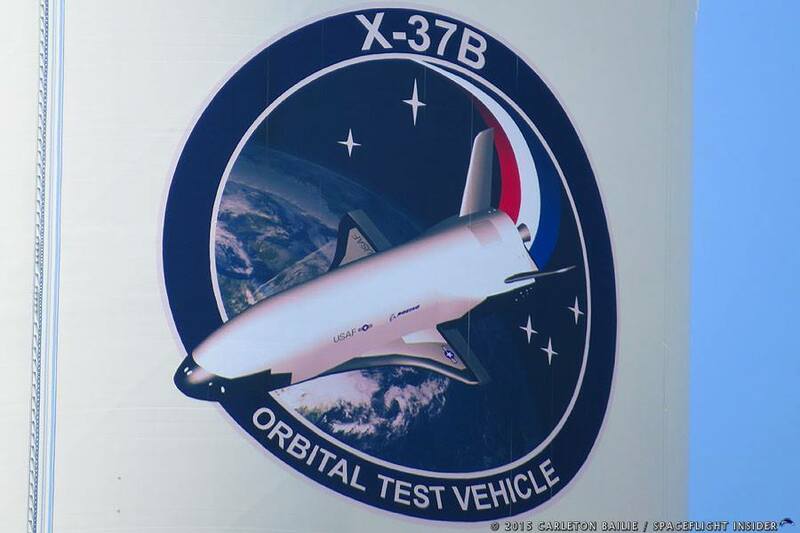 Prior flights of the X-37B mini-shuttle were only dubbed “OTV” and then the number of the flight. Some mention has been made that this is OTV 4, but the mission has most frequently been called AFSPC-5. When asked about the reason for the change, representatives with ULA told SpaceFlight Insider that it was carried out as a request from the customer (the U.S. Air Force). While all prior payloads that the X-37B carried to orbit have been classified, this one carried at least two public experiments (albeit as a secondary payload affixed to the Centaur upper stage). Encased in eight Poly-Pico Orbital Deployers (P-PODs) attached to the Ultra Lightweight Technology and Research Auxiliary Satellite (ULTRASat) were 10 CubeSats. These were constructed by the California Polytechnic State University in San Luis Obispo, CA. Each of the P-PODS is encased into a structure built by the Naval Postgraduate School (NPS) in Monterey, CA. Seven of the eight P-PODS contain nine National Reconnaissance Office (NRO) sponsored CubeSats and the ninth has a NASA-sponsored satellite. United Launch Alliance (ULA ) utilized the 501 configuration of the Atlas V booster to get the X-37B spacecraft off the pad and on its way into the black. What this means is that the launch vehicle utilized a payload fairing (PLF) measuring some five meters in diameter, that it had no solid rocket boosters powering the Atlas aloft, and that it had a single-engined (RL10C-1) Centaur in its upper stage. Centaur has a rather lengthy history and has been used to launch spacecraft to every planet in the Solar System, to the Moon, and to the dwarf planet Pluto. Today’s flight began at 11:05 a.m. EDT (15:05 GMT) with the Atlas V lifting off from the launch pad and into the almost clear blue skies above. It was feared that the turbulent Florida weather would cause the mission to be scrubbed. 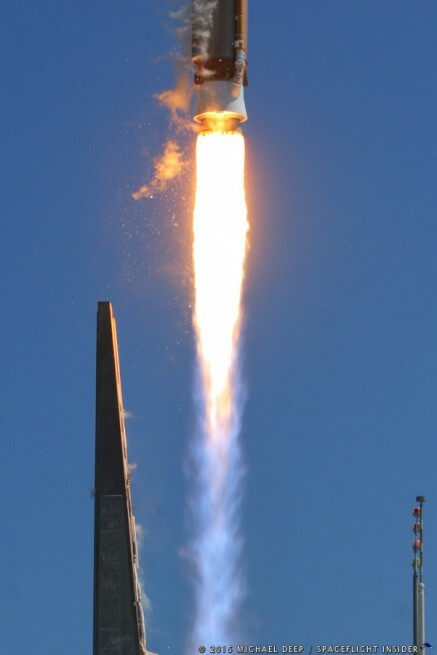 However, in the end, the launch of AFSPC-5 was underway. Without the Aerojet Rocketdyne AJ-60A solid rocket boosters to help push the booster’s stack off of the pad, the flight slowly raised into the sky. Within about a minute-and-a-half, the flight encountered a critical phase of the mission. At this stage, the rocket was traveling uphill through what is known as the region of maximum dynamic pressure or “max-Q”. At this point, the rocket’s own speed actually conspires with the air pressure outside to place it under the greatest amount of stress that the vehicle encountered on the road to orbit. At about three minutes and 45 seconds into the flight, having served its purpose, the PLF was jettisoned and left to fall back to Earth. By about nineteen minutes into the flight, placed on the proper trajectory by the Centaur upper stage, the X-37B and its payload were on their way and beginning to carry out the parameters of the AFSPC-5 mission. 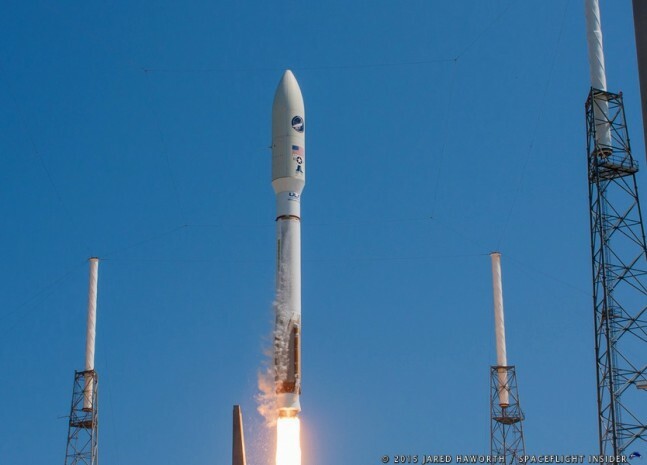 Information received from ULA and USAF sources have the mission lasting an estimated 220 days. If that is the case, it will be the shortest mission to date. 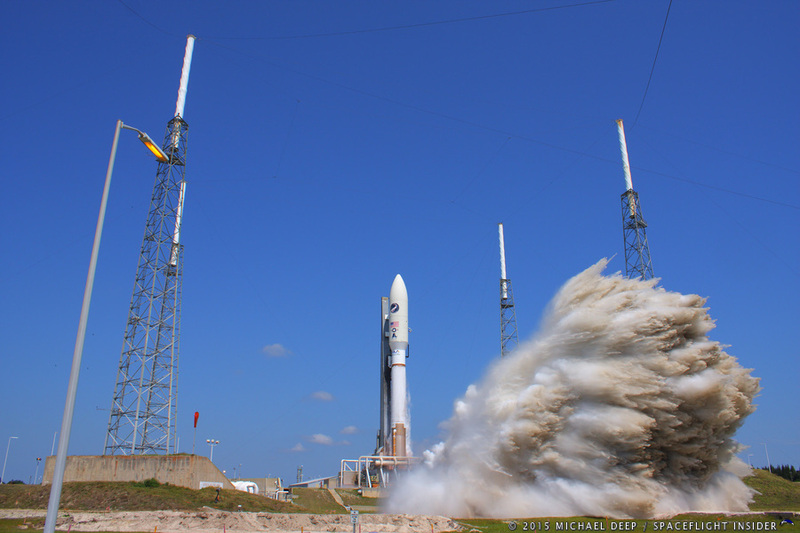 With the successful launch of AFSPC-5, ULA has completed 96 missions since the company was formed in 2006 from elements originating at Boeing and Lockheed Martin. This is the fifth flight overall that ULA has conducted this year alone and the 54th time that the Atlas V has been launched since its first flight in 2002. “The seamless integration between the Air Force, Boeing, and the entire mission team culminated in today’s successful launch of the AFSPC-5 mission,” said ULA’s Vice President for Atlas and Delta Programs, Jim Sponnick. The launch site itself has seen marked changes since the flight of NASA’s Magnetospheric Multiscale (MMS) Mission in March of this year. Preparations for this flight are not the only work underway at the launch site. 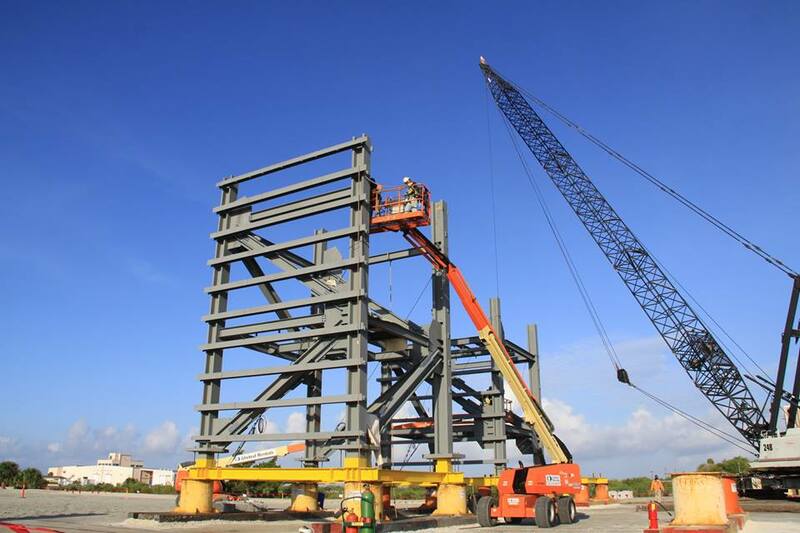 A new Crew Access Tower is currently being constructed near SLC-41. 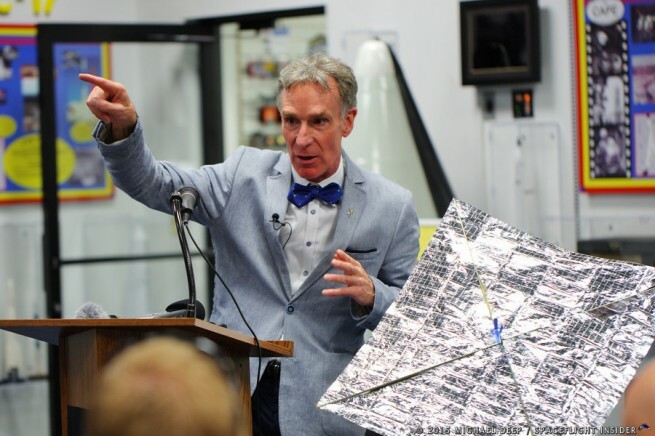 For their part, The Planetary Society is planning on using the lessons learned from the prior launch of a LightSail demonstrator. This launch is only the first part in what is planned as an overarching strategy to test out and validate this nascent technology. 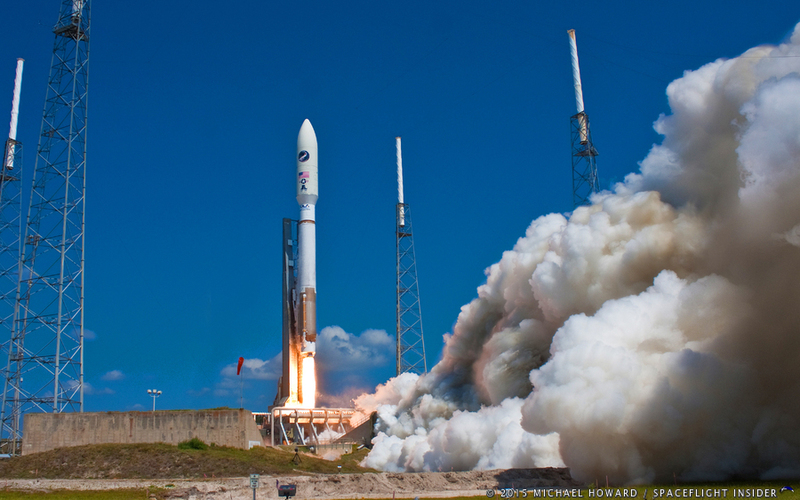 Congratulations to ULA and the USAF on a successful launch!